Eliminate foods that have trans fats or irritate your bowels — due to inflammation — within a 24 hour period of time. If you notice straining while going to the bathroom, this counts. If you notice the consistency of your feces changing substantially and no longer in ‘log’ formation, your digestive tract is disturbed, and this will also hinder your fat loss. 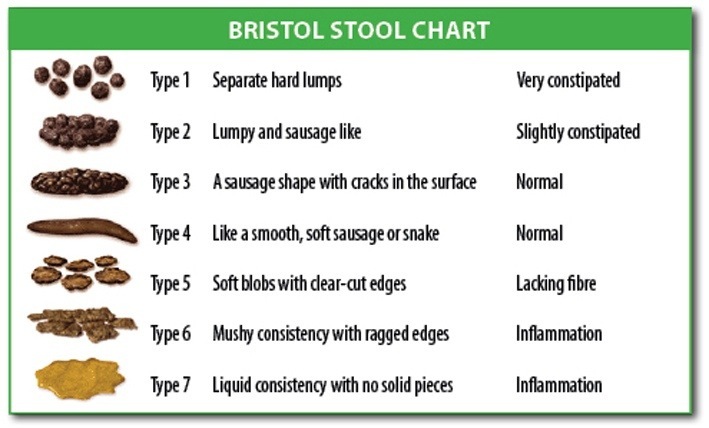 Look at the Bristol stool chart to recognise what is normal for you. Then you will notice changes relating to the different cheat and favourite foods you add into your normal routine. This entry was posted in Fat Loss, Healthy Eating. Bookmark the permalink.